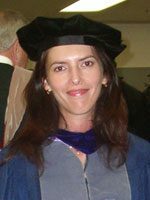 The Dr. Olga Pustovalova TEFL (Teaching English as a Foreign Language) Scholarship honors the intercultural and academic legacy of Dr. Olga Pustovalova, who came to UCF’s Department of Modern Languages in 2007 to pursue research under a Fulbright Scholar Award. Dr. Pustovalova believed in the value of understanding different cultures, and, to that end, this scholarship was created to help UCF students gain teaching experience in a foreign country and thereby carry on Dr. Pustovalova’s academic endeavors. One $1,000 scholarship may be awarded each spring to a deserving student who meets the following requirements. Applicant must be enrolled as a full-time or part-time undergraduate student preceding or following the TEFL assignment. All majors may apply but preference will be given to students who are also in the TEFL certificate program. Preference will be given to students who demonstrate financial need as determined by the Free Application for Student AID (FAFSA), but all may apply. Applicants need to have a 3.0 or better overall grade point average. Applicants must have completed or be currently enrolled in at least two TEFL certificate courses and have earned a 3.5 grade point average or better in those courses. The scholarship is renewable. However, the student must re-apply to be considered for an additional year. The criteria for awarding the scholarship will be consistent with the guidelines established by the University Office of Student Financial Assistance. In the spirit of this Scholarship, once recipients have completed their award year, they will be encouraged to give back via speaking to UCF classes, community service, mentoring awardees, and encouraging others to support the Dr. Olga Pustovalova TEFL Scholarship.